As public-health officials cope with a severe measles outbreak in Washington, some teenagers whose parents did not vaccinate them are turning to the internet to ask whether they can choose to get vaccinated without their parents’ consent. Unfortunately, in most states, teens under the age of 18 cannot make this decision for themselves except in a life-threatening situation. This should change. Very few states allow older teenagers to consent to medical treatment. Alabama is one example where 14-year-olds can give consent. Oregon is another. Its statute allows minors to consent from the age of 15. Minors in Washington may take advantage of the judicial doctrine that allows mature minors to consent, although its boundaries and application are unclear. A statutory solution would be easier to use and more certain. In a few other states, minors as young as 12 can consent to receiving specific vaccines, usually for protection against hepatitis B and Human Papilloma Virus. These states are trying to help sexually abused minors. A vaccine is a minimally invasive procedure. The risks are also extremely low. The measles, mumps and rubella vaccine (MMR), for example, may cause a temporary high fever, but serious, long-term harms from the vaccine are extremely rare. In contrast, the risks vaccines prevent are much higher. In recent outbreaks in the United States, more than 20 percent of the people getting measles were hospitalized. The disease can cause encephalitis, deafness or even death. The vaccine schedule is recommended by the federal Centers for Disease Control and Prevention and medical societies because the risk/benefit analysis weighs so heavily in favor of vaccines. This is why all 50 states and the District of Columbia require most children to be vaccinated before attending school. In comparison, consider that several states allow minors to consent to abortion, a generally safe but more invasive procedure than administering vaccines. Some states allow minors to obtain abortions if they receive judicial permission in lieu of parental consent. It is important to remember that nearly all arguments against vaccines are not scientifically supported. A classic example is the mistaken belief that vaccines can cause autism. Parents enjoy extensive leeway in making decisions for their children. But we should not allow parental misperceptions to bar the access of an informed minor to very safe, simple protection from deadly diseases. 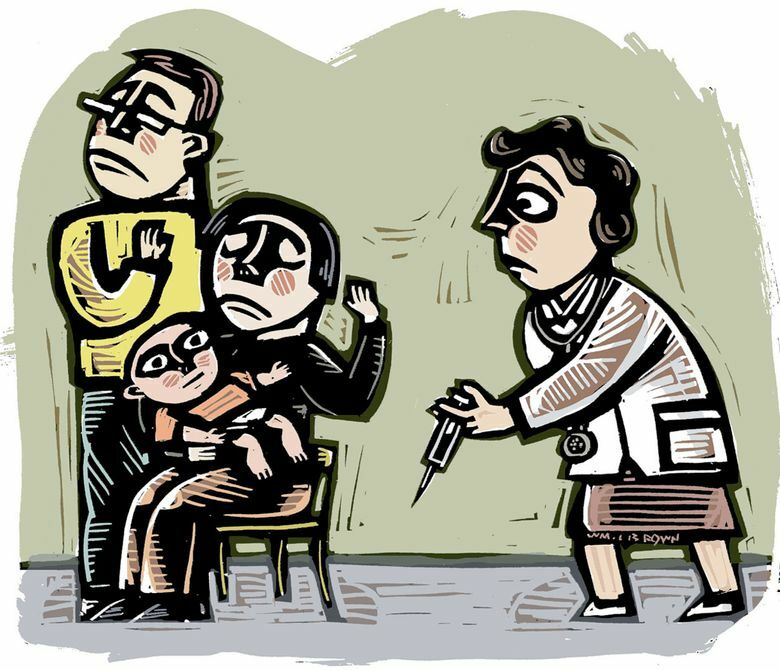 Legislators should pass laws that enable more minors over the age of 12 to 14 to consent to vaccines, even if parents oppose. We would want to be confident that minors seeking vaccinations on their own have the necessary information and are making deliberate and informed choices. But that is easily done by requiring that the explanation given to the teen in the medical office be video recorded as well as the young person giving written affirmative consent. At least some minors want to be protected from some awful, but preventable, diseases. They deserve that protection, especially amid what Gov. Jay Inslee has correctly called “a public disaster.” Let’s not make teens who want to protect themselves from potentially fatal diseases the unwilling victims of the dangerous anti-vaccine movement. Dorit Rubinstein Reiss and David I. Levine are law professors at the University of California, Hastings College of the Law, in San Francisco.